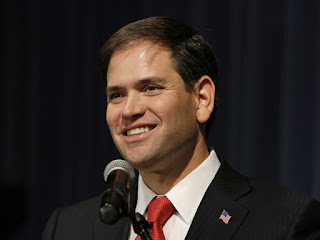 In the early morning hours [after midnight] of July 21, 2016, on the second roll call ballot at the RNC Convention in Cleveland, Ohio, Senator Marco Rubio of Florida will be chosen as the Republican presidential nominee. Then shortly after, Senator Ted Cruz of Texas will be chosen by acclimation as the Vice-Presidential nominee of the party. With not much sleep the delegates will come back that night to hear the acceptance speeches by first the vice-presidential nominee, Senator Ted Cruz and then the presidential nominee, Senator Marco Rubio. Why and how will that happen? Five main factors will make my hypothesis, that Senator Marco Rubio will win the nomination in a open convention on the second ballot and Senator Ted Cruz will win the VP nomination, become a reality: 1. The super loyalty of the Trump voters. 2. Donald Trump will not leave the race. 3. The Republican field, probably after the Nevada and South Carolina primaries, will become a de facto three person race between Donald Trump, Senator Ted Cruz and Senator Marco Rubio. 4. Senator Marco Rubio will go into the RNC convention with a plurality, but not majority of the delegates needed to win the nomination. 5. Senator Marco Rubio and Senator Ted Cruz will make a compromise [i.e., their delegates] to nominate Marco Rubio as president and Ted Cruz as vice president. 1. If one thing is obvious by now in this race for president on the GOP side, it is that Donald Trump's supporters will stick with him [and no one else] as long as he stays in the race. In fact, they are so loyal to him they would stick with Donald Trump come hell or high water or even if it meant giving the election to Hillary Clinton. A poll has come out that almost 70% would stick with him even if he ran as a third party candidate [which he has said again he will not do] and would guarantee Hillary Clinton being our next president. So, the Trump voters, like the Ron Paulbots in the past, are more loyal to their man than to the Republican Party. What does that mean? It means that if my hypothesis is correct and there is an open convention [not one candidate with a majority of the votes to win the nomination], the Donald Trump supporters will never ever give up their votes to another candidate after a first roll call ballot, even if by doing so that guaranteed that someone they didn't want to win the nomination wins it. Of course, my hypothesis would be moot if Donald Trump got out of the race before the end of the primary season, which leads to my second factor. 2. One thing I am finding out is, I was wrong like a lot of pundits thinking that sooner or later Donald Trump will leave the race. I now believe that if Trump loses Iowa, and even if he loses but comes in second in New Hampshire, he will stick in the race for the long haul. Because of that, he will remain as one of the leading candidates [as far as piling up delegates] along with Cruz and Rubio until the convention. 3. As of now, there are still 14 candidates on the GOP side for the nomination. So, because of that we have Trump with a huge plurality of the poll numbers and the rest of the field splitting the votes. Now history and common sense tells us that that cannot sustain itself [such a large number of candidates] and after the South Carolina and Nevada primaries [before Super Tuesday], it will be obvious that there is a top tier of three candidates who have a legitimate chance at the GOP nomination-I contend those three will be Trump, Cruz and Rubio. While you may have some candidates sticking in there until the bitter end, it will be Trump, Cruz and Rubio who will be splitting up the overwhelming majority of delegates from then on. In that scenario Trump and Cruz will be seen as the outsiders and Rubio [even though he was elected by being the first tea party candidate in the nation and even though he has only a few years in Washington, D.C.] will be seen as the establishment candidate. I don't call him that but being realistic I admit that will be the case. Because Ted Cruz is unwilling to take Trump on, for whatever reason [maybe thinking foolishly he will eventually get the Trump voters], Donald Trump and Ted Cruz will be splitting their similar constituencies [those wanting an outsider as the nominee] in the remaining primaries, with the plurality of the votes and delegates going to the so-called establishment candidate in the field, Marco Rubio. For example, let's say you have between 55-60% of the GOP electorate for the outsiders [and I think that is in the high range], Trump and Cruz will be splitting that vote with the other 40-45% going to Rubio. When that happens, Marco Rubio will be winning the majority of the primaries and the delegates from then on after the field narrows to those three. 4. Now, while Rubio will be winning a majority of the delegates after the field narrows, it will not be a majority of the delegates needed to win the nomination, because he probably will not have won many [if any] of the early primaries, before the field has narrowed to three. But Marco Rubio will have a plurality of the delegates as they go into Cleveland on July 18, 2016. I also predict Trump and Cruz will have about an equal amount of delegates, but both in a minority status. Also, some of the other candidates outside of those three will have picked up some delegates in those first four primaries and on Super Tuesday. Because of that it will almost certainly take more than one roll call ballot to pick the GOP nominee. 5. So, what will happen after the first ballot. There will be a long period of discussion and brokering among the delegations that will take the second vote past the midnight hour, to the last day of the convention. After the first ballot, delegates pledged to a certain candidate are no longer bound to vote for their candidate on subsequent ballots. You may ask, why wouldn't the Trump and Cruz delegates get together to stop Rubio. Remember my factor number 1. I'm telling you, as sure as the sun rises in the East, Donald Trump's delegates will never turn over their votes to Ted Cruz or anyone else. They will live and die with Trump no matter what. So, without Trump's delegates turning to him, that means Ted Cruz will not garner enough delegates to gain a majority. Now, who will the Cruz delegates turn to, Trump or Rubio? By late July, the match up polls between Hillary Clinton and the GOP candidates will be clear. It will show that by a huge margin Marco Rubio will have by far the better chance to defeat Hillary in the general election than will Donald Trump [in fact, I predict the polls at that time will show Donald Trump would lose to Hillary by a large margin, while Marco Rubio would defeat Hillary by a large margin]. Plus, Marco Rubio will be the one in command at the convention because he will have the plurality of the delegates. This will make it a natural that some Cruz delegates will go for Rubio over Trump. What will be the final action that nails enough of the Cruz delegates to switch to Rubio to give him the nomination? It will be a compromise offered by Marco Rubio and his delegates to the Cruz delegates, that if they switch enough of their delegates to Marco Rubio to win the presidential nomination, then Marco Rubio's delegates will join with the Cruz delegates to nominate and vote for Ted Cruz as the GOP vice-presidential nominee. 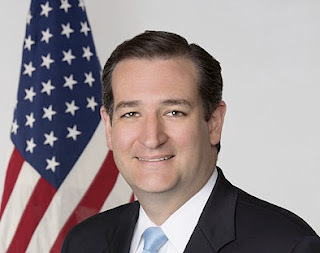 As the Cruz delegates realize their man will not be the presidential nominee, I think they will accept such a compromise because then, their man, Ted Cruz, will be on the Republican ticket as the GOP vice-presidential nominee of the United States. Because of the lateness of the evening, or I should say early morning, the VP will not be a roll call vote but just a voice vote by acclimation. That will happen probably with Trump delegates yelling out, Trump, Trump, Trump. This will unite a big majority of the Republican National Convention except for many of the Trump delegates who will not be happy. But they won't be able to claim their man was treated unfairly or that the establishment took it away from him, because after the South Carolina primary, it will be Rubio and not Trump who will win a majority of the rest of the primaries. It will be the voters, and not the establishment who will be telling Donald Trump, "you're fired." I think I'm going to have to go with you on this one. I think you will be proven prescient. Wow, coming from you BZ that is quite an honor. Thank you sir. 1. The ticket of 2 Hispanics will be interesting in getting enough votes from Hispanics to offset the fact that the Trump supporter (not bing loyal Republicans) will stay home in the general. This fact makes the general more favorable to Clinton, just like the sitting home of 3 Million Republican voters in the 2012 election mortally hurt Romney. 2. Both Rubio and Cruz are of Cuban extraction, which doesn't necessarily play well with the rest of the Hispanic community. Will the Hispanic vote be sufficient? Remember big Harry this is how I see it playing out- I personally would rather have someone else as VP but I think the political circumstances will create this ticket. Your comment is right about Trump supporters- that is why I feel he has been so destructive to the GOP and wish he never got in- yes many Trump supporters are going to sit out if anyone but Trump wins the nomination ( no matter who the VP is) and if Trump wins the nomination many traditional Republicans will also sit out (check the Pete Wehner article). That's why it's kind of depressing we have this golden opportunity and the emergence of Trump could very well blow it up.